Asus has announced the Designo MS LCD monitor series – with five panels that all bring 1080p, 50,000: 1 contrast and 2ms response time. The Designo MS series is billed as the 'perfect combination of exceptional style and great picture quality' by Asus, describing the range as 'classy and graceful' . Backing up that claim is the 16.5mm profile and Ergo-fit technology which allows one finger adjustments of the screen. 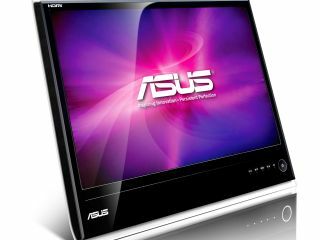 "The Designo MS Series LCD Monitor contains a class-leading specification including Full HD 1080p, 50,000:1 high contrast ratio, 2ms quick response time, ASUS Splendid Technology, and an HDMI port to deliver high quality entertainment from Blu-ray movies and console games," says Asus' release. "The Designo MS Series' eco-friendly design is manufactured with 50% less hazardous materials and reduces power consumption by 40%* to lower electricity bills and help save the Earth." The monitors are available now.